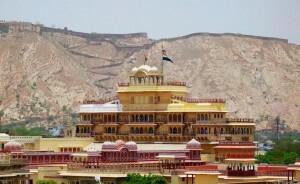 It is obvious that the best place to visit in such a marvelous country as India is the City Palace in Jaipur. 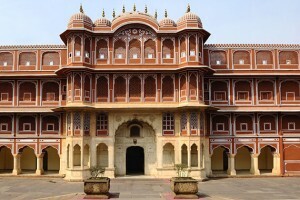 Of course India has rich variety of different attractions including Lotus Temple, Taj Mahal, Hill Palace Museum, Victoria Memorial, etc, but still, if you ever visit this amazingly mysterious and charming country and one of its most interesting from the point of view of architecture cities – Jaipur – don’t miss the opportunity to see its City Palace. This place seems to be a real dream for every tourist not only because of the rich history and ancient architecture but also due to the epitome of luxury and wealth ever known in the world. 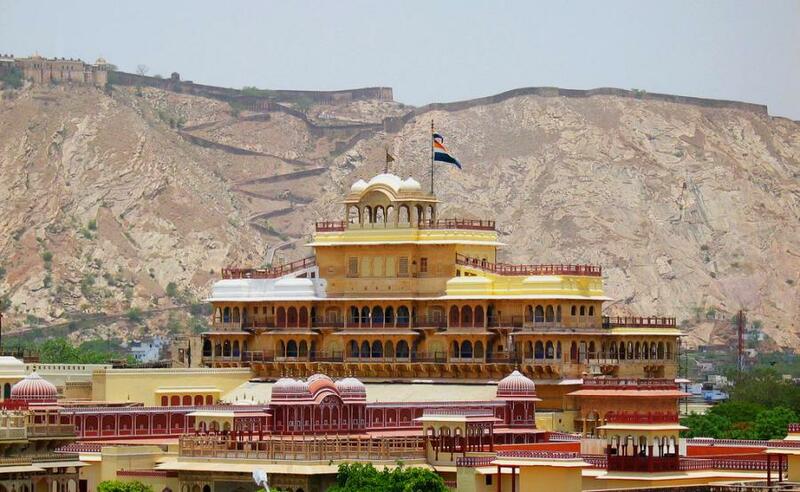 It’s worth mentioning that Jaipur deserver being named the most historically significant state of India where one can find historical forts and fantastic palaces, including Hawa Mahal, City Palace and Amber Fort. 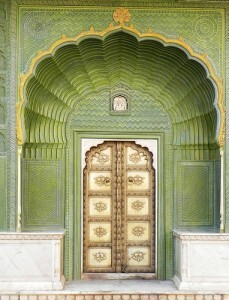 But the City Palace in Jaipur is certainly superior to them. It was created in 1729 – 1732 supposedly by Sawai Jai Singh II, the Amber ruler. 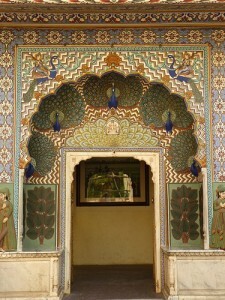 Some additions were made to decorate the Palace during the 20th century. Nowadays it consists of Mubarak Mahal, Chandra Mahal and some other buildings. The most famous architects who worked to create this beauty were Vidyadar Bhattacharya and Sir Samuel Swinton Jacob. They achieved the harmonic mixture of styles, including Indian architecture and various European styles. The City Palace is a complex of buildings, palaces, pavilions, temples and gardens. The most outstanding parts of the whole prominent complex are Mukut Mahal, Mubarak Mahal, Chandra Mahal, Shri Govind Dev Temple, Maharani’s Palace and the City Palace Museum. Of course it is almost impossible to visit all of them and enjoy the beauty of their architecture in a day. That’s why it’s better to plan the route beforehand. You’d better start sightseeing with the Entrance gates which have rich decoration that will certainly impress your imagination. Then you may visit Mubarak Mahal (the ‘Auspicious Palace’ – from Indian) which mixes three architectural styles: Rajput, Islamic and European. Chandra Mahal is the next place to see. This seven-storey building includes unique paintings, floral decorations and wonderful mirror works. 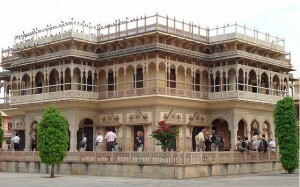 Nowadays Chandra Mahal serves as the residence for the former Jaipur rulers. That’s why only the ground floor is allowed for visiting. 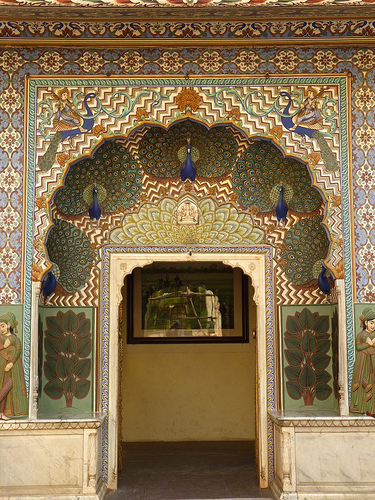 In Chandra Mahal you’ll also find a fantastic inner courtyard where four different gates represent four different seasons: the Peacock Gate is associated with autumn, the Green Gate – with summer, the Leheriya gate – with spring, the Rose Gate – with winter. Each gate is decorated with various kinds of flowers. 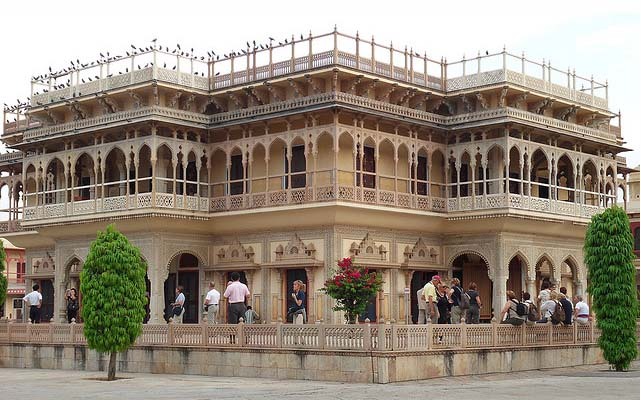 Another place which will impress you is Maharani Palace that was the royal queens’ residence. Now it is a museum that has an unbelievably rich collection of ancient weapons, including guns, pistols, swords, blades, etc. But if you want to see old carriages, European cabs or palanquins the Bhaggi Khana museum is the place you must go to. The City Palace in Jaipur is the place one should ever see in his life to be fascinated with great history and rich culture of, perhaps, the most amazing country in the world called India.